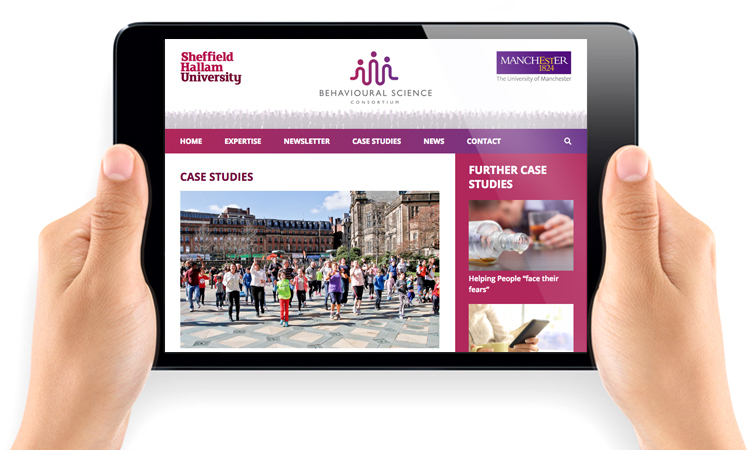 Having worked on numerous projects for the education sector, we were approached by the Behavioural Research Consortium to build their new website. 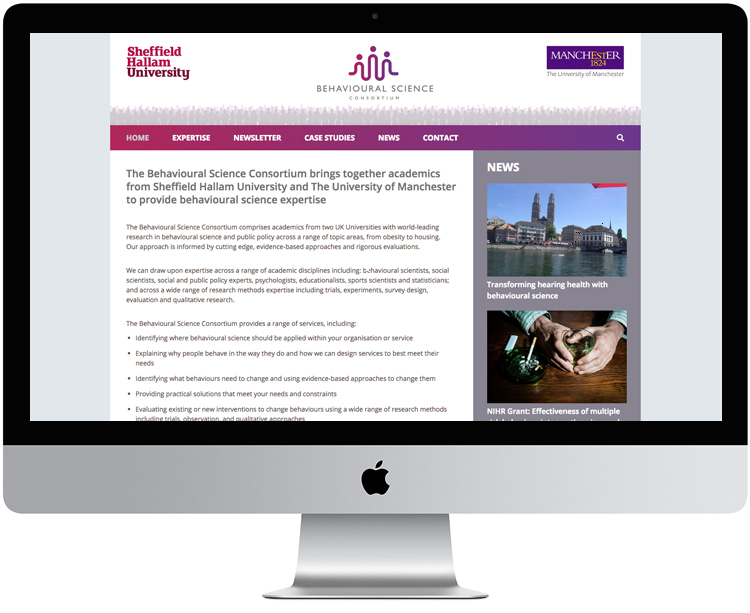 The Behavioural Science Consortium comprises academics from two UK Universities (Sheffield Hallam University and Manchester University) with world-leading research in behavioural science and public policy across a range of topic areas, from obesity to housing. 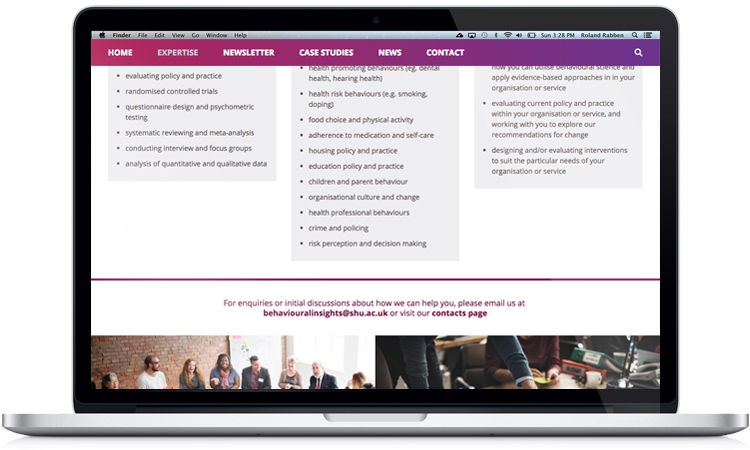 We had a very short deadline on this job, as the newly formed alliance of university academics had to have a live website up in six weeks, in order to tender for some research work. From the copy and images supplied by the client we initially created the static page designs. Once approved these were then developed into a beta site for testing. Upon the OK, we then made the new website live on our hosting. All in six weeks! The site was developed in WordPress and we developed specific post types to enable easy editing of the none static pages by the client. As with all our websites, the site is fully responsive, ie mobile friendly. We also installed some plug-ins so the client could easily track activity and optimise any new pages for search engines. If you need an urgent website, with a tight deadline, contact the experts, Andrew Burdett Design on 01433 208307.